Close your eyes and think really hard of the most boring, functional product you can imagine. Something not at all interesting. Was it toilet paper? If you were thinking of something else, is it more interesting than toilet paper? I’d be willing to bet it is – even if just by a smidge. Before a recent trip to Portugal, I can promise you that I had spent zero seconds thinking about the marketing of toilet paper. Now, I have a lot of fully formed opinions about it. Here’s what happened. Picture the scene. I am standing in a large public square in Lisbon, about to depart on a free walking tour of the city. I have an ice cream cone in hand, the sun is shining, and the beautiful city is buzzing around me. Life is good. Standing on the precipice of a three-hour march around the city with a group of strangers, I suddenly realized that a pre-emptive bathroom visit would be wise. I frantically look around. What are the chances I will find a hygienically-acceptable public restroom in my immediate surroundings? 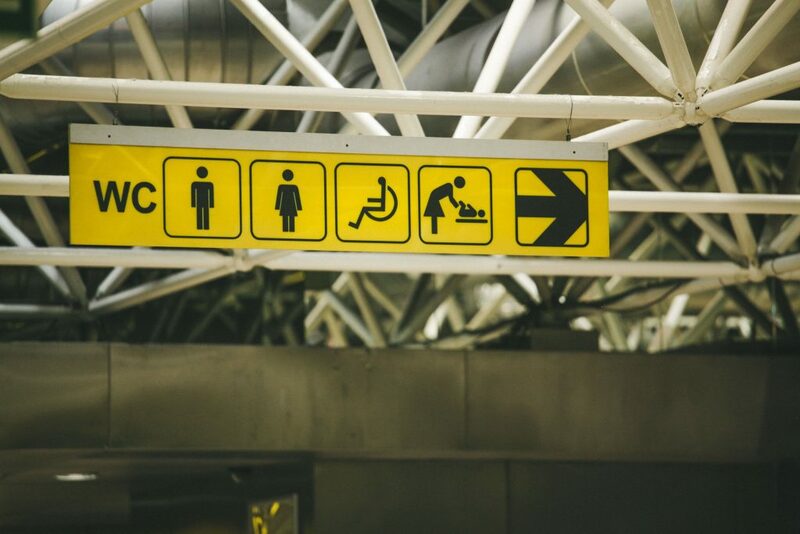 For anyone unfamiliar with the term, WC means Water Closet and is how Europeans refer to bathrooms. I launched myself toward the sign in a haze of joyful disbelief. Things only got better from there. The inside of the bathroom was not only clean, but an explosion of color. Not since watching Clueless as a teenager have I been this excited about color coordination. 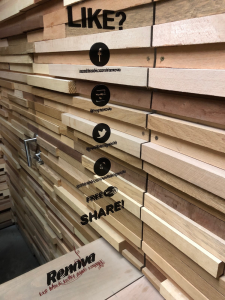 This public bathroom is marketing in motion for Renova, the Portuguese paper consumption goods company. Because all of a sudden, toilet paper doesn’t seem boring at all. It’s fascinating. No matter what you do, I guarantee you there is some kind of promotions or sales involved in your day-to-day. From convincing your kids to eat their vegetables, to enticing your other half to see the movie you’re dying to see, marketing and selling are inherent to living human life and doing human jobs. 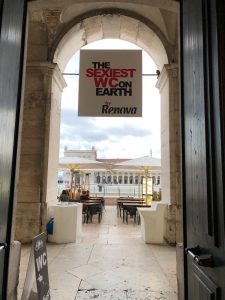 Whatever you’re selling – whether it is an organization, a product, a service, or a task, there are valuable marketing lessons to be found in Renova’s ingenuity. 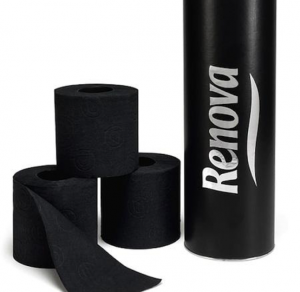 In a world of white toilet paper, Renova’s black alternative is fairly radical. In a world of traditional politicians, Donald Trump stood out in the 2016 Presidential race. For better or for worse, any time you can be different, you will have an edge. A word of caution here, however, because we’re not suggesting that you reach for gimmicks in the interest of being different. You should never use flashy ideas at the expense of being your authentic self. What you can do, is look around at the space you’re in and see where there are opportunities to stand out. If all the organizations or people in your space are doing things a certain way, is there an opportunity for you to go in the other direction? For example, if you’re naming a company and your competitors all use people’s names in their title, can you call your organization something completely different to stand out? Or if you’re entering a pie contest, can you make a coconut pie when everyone else is baking apple? Or if you’re planning a fundraiser, and everyone else does a seated chicken dinner event, can you serve breakfast for dinner and hire a great DJ? 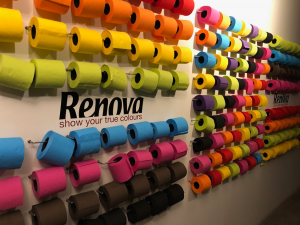 The thing you’re selling still has to be a quality product – Renova’s black toilet paper wouldn’t sell if it didn’t get the job done – but look for opportunities to stand out at every turn. Just because traditional toilet paper advertising has been carried by cartoon animals, doesn’t mean it always has to be that way. Or that that is the only effective method of selling toilet paper. It’s human nature to emulate something the way someone else does it. It’s why trends happen in every industry and every culture – we follow the flock. But this can lead to us doing something just because we saw someone else do it that way. Don’t be limited by the confines of what has gone before or by assumptions about your product or service. This sounds fairly simple, but it can be a very challenging thing to do in practice. The next time you are promoting or marketing something, spend more time in the brainstorming phase before you decide on a course of action. To inspire creative thought, imagine what the opposite way of advertising that thing would be from the norm. Look out for other advertisements you respond well to, and imagine how you could apply that approach to your thing. It takes some time and thinking, but when you allow yourself to move away from the confines of conventional wisdom, you’ll generate amazing ideas. That public restroom was experiential advertising for Renova. I wonder how much money they spend on it, but I assume it comes out of their marketing budget. Using the restroom was like taking a walk through a life-size glossy ad for their product – and yet it will stay with me longer than any static magazine ad could ever have. 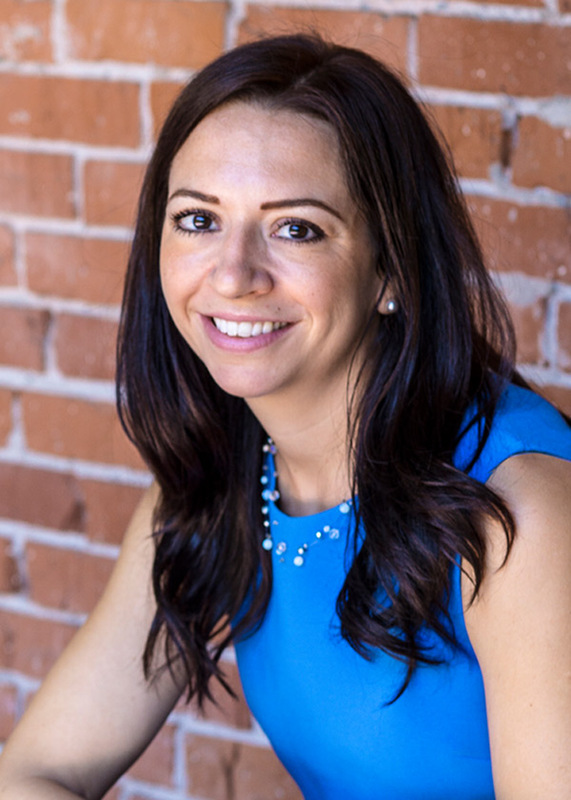 When you’re thinking about how to promote your product, service, organization or idea, think about how it connects to the real world. Don’t think of advertising as something that only happens on screens – when you can translate your product or service into something that intersects with people as they live their normal lives is when you will leave a powerful impression. If you’re selling food, how can you get it in front of hungry crowds to sample? If you’re promoting a walk for charity, how can you reach people who love to walk anyway? The best thing about traveling is gaining inspiration from other ideas and other places. Watching how others advertise can inspire us to break out of what we’ve always done before and try something different.